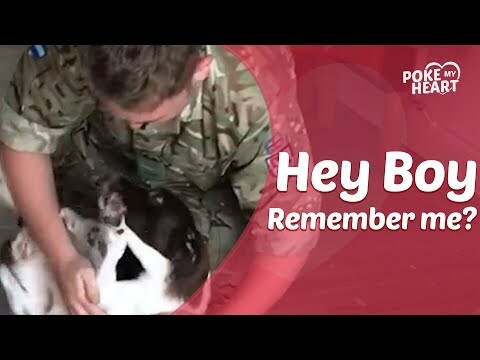 This British soldier was away in America for three and a half months and hadn't seen his dog since. 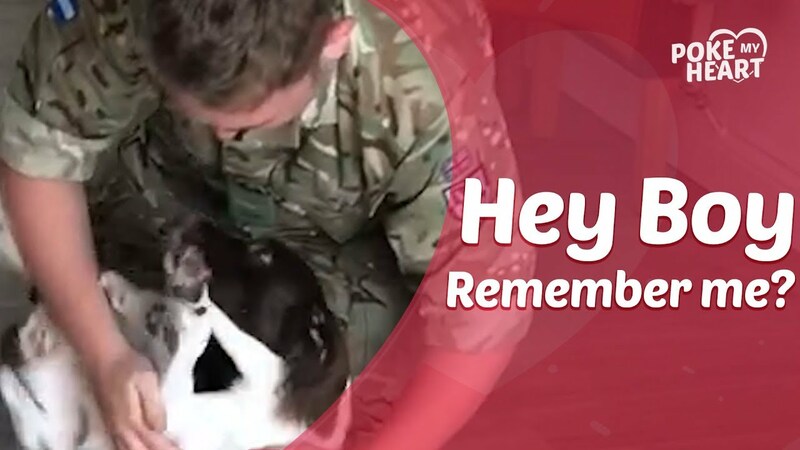 When the soldier came home, the dog rolled on the floor, ran in circles, and jumped around. Poke My Heart celebrates moments that make your day brighter. Here youâ€™ll find sweet marriage proposals, touching reunions, creative birth announcements, adorable babies, pet loyalty, and any emotional experience that makes you smile. Based on the classic video, "You Poked My Heart," we strive to share universal moments that evoke nostalgia, inspiration, and happiness.